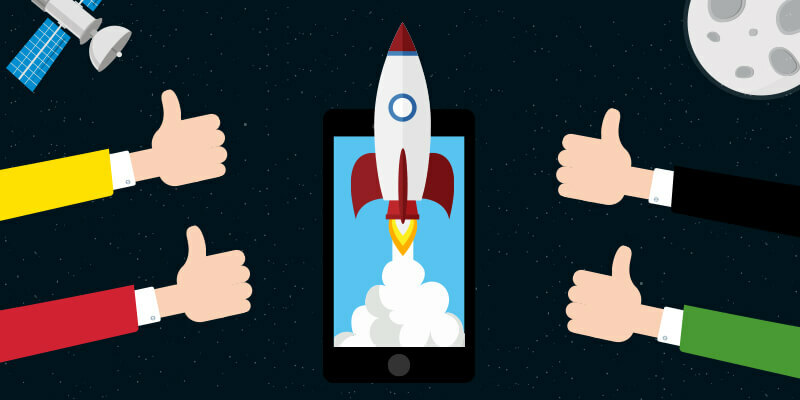 Expert’s Guide: How to launch a mobile app successfully? After months of hard work, the day finally comes when you launch your app. Once the app was launched, you were waiting for some miracle to happen but nothing seems right. You expected your app to blow up in the market but there is not even a decent number of downloads yet. This happens with most of the app developers out there but don’t worry, we have got you covered. To launch an app successfully, many steps have to be taken pre and post-launch. 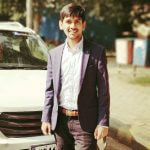 There are strategies to be planned and work to be done so that when the app is launched in the market, it is noticed by the majority of the population. There are other factors to take care of as well and we will discuss it all in this blog. Before we go through the app launch checklist, let’s look at the pre-launch app strategies. What are Some Pre-Launch App Strategies? How to launch an app successfully? The answer to this question also lies in what you do before your app is launched. The pre-launch app strategies are just as important as post-launch strategies. If you really wanna ensure a successful mobile app launch then make sure you use the time before the actual launch very wisely. How to launch an app without knowing the target audience? This is why thorough market research is a must. To identify the target market, point the potential threats and to see what the competitors are up to, market research is important. By doing so your app will be prepared for whatever situations arise post-launch. Marketing of the app is done way before the actual launch app. Some app owners start the app promotion even before the mobile app development is finished. Early marketing creates a positive image for the app and also creates awareness about the app. So, how to market an app successfully? To muster support for your mobile app reach out to friends, communities, influencers, or create product videos and share online. You can also create a blog or a website which will act as the landing page for your app. Social media can blow up things faster than a bomb. So many apps have gone viral and all the credit goes to social media. Reddit, Facebook and Instagram are great platforms to promote the app idea before you actually launch app. A press kit is basically a resource for journalists and publishing houses to convince them to review your app. The kit includes all the information about the app including, screenshots, images and other details. You can also include videos by uploading it on YouTube. Beta testers are registered testers for apps on App Store or Play Store. They can be the best source for honest feedback for your app. Make sure you take the advice from the testers and use it to improve your app further. Now you may ask how to soft launch an app? For that, you can find many websites that provide beta testers. Make a choice as per your requirements. So this is how to market an app successfully before the actual launch. Now you must be asking “How do I launch my app?” and the answer follows in the next section which has all the steps to launch an app. How do you Launch an App Successfully? According to the stats above, mobile apps have the most difficulty when it comes to marketing. And the truth is, most beautiful apps fail to do good without proper marketing. These are the steps to launch a mobile app which will help you maximize the potential of your mobile app. Planning a user acquisition strategy is not easy. It requires a lot of research, experimenting with different tactics and creativity is required. However, without this strategy customer acquisition becomes almost impossible. The best practices launching an app involves word of mouth promotion. It is said that word of mouth is the most effective form of promotion and brings in genuine users. Reaching out to your friends, communities, colleagues and family members to spread a good word about the app would create awareness among a large group. Vigorously linking your app everywhere is another strategy that you can follow. When you launch app then link the app on your email, comment sections, other blogs or social media. This way the link will become visible all over the internet and would bring in some curious users who might even stay forever. Once you have launched your app, you can go for paid ads on Facebook or any other online platforms. Facebooks ads are considered the most effective and is always worth the price paid. Other platforms like Instagram and Twitter also have great opportunities for advertisement. How do you launch an app without any users? You don’t. Once you have gathered enough users for your upcoming app, don’t let them go. Engaging with customers is a way to retain them. This is even more crucial if your app hasn’t been launched. If you are going for iPhone app development then it is a must that your app gets placed in the Top Lists sooner or later. The App Store curators review one app each day, either paid or free app. If your pitch is strong enough to convince the curators then your app can get featured on the App Store. With the help of metrics, identify users who are inactive or using the app lesser and lesser each day. Plan strategies to regain them back and encourage them to be more active. Even after the launch of the app, you must provide proper customer services. Responding to emails, comments and listening to user queries all comes under customer services. This is essential to make users feel heard. Tools like BuzzSumo helps you find where your app has been mentioned so you can go and attend to the issues. A poor working app can be the cause of the failure of a company. Once the app is launched in the market, there is hardly any chance to undo mistakes immediately. You will have to wait until the first app update is launched but by then the app would have lost too many users. You can totally prevent this scary situation by avoiding these common mistakes made during app launch. The whole world is not your market. Before you launch app to the entire market, think about the people who may not be using your app. Suppose, your app is a gaming app and has a lot of action in it. Would you target the adults or the old aged people for the app? The result is going to be unfruitful. Generalizing the market is a mistake. Run a survey, gather market data and target potential customers and you will see better results. That’s the best way to launch an app. Onboarding is simply introducing the app to the users. It is one of the very common mistakes that is made before launching an app. Onboarding is the introduction which means that it creates the first impression of the app in front of the users. This is why poor onboarding steps can lead to a bad impression. MVP or Minimum Viable product needs to be determined for apps as well. The validation of the app must be done before the new app launch. MVP has more than one benefits and could result in a successful app launch. MVP built for money raising, MVP for startups, and MVPs for feedback are some of its benefits. The feedback from MVP will act as a guide while building the actual app. Movie trailers are released way before the actual movie hits the theatres. Ever wondered why? For creating a place for what’s coming in the future. Similarly, marketing of the app is started way before the mobile app development starts. The potential customers should be excited when you launch app and the app gets maximum traction as soon as it’s launched. Once you launch app, you should be able to track the movements of the app growth. Who is using your app? Where is it being used? Did the mobile app launch strategy work? These questions need answers and the answers should be accurate so that future strategies can be planned. Now you know all about how to launch an app, mobile app launch strategy and the pitfalls you must avoid. If your queries are still unanswered then feel free to contact our team of app developers at Appinventiv.